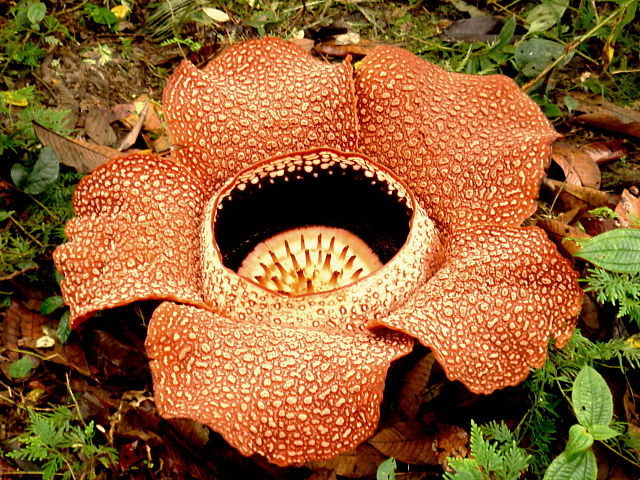 The biggest flower in the world is an endangered and also a protected species. 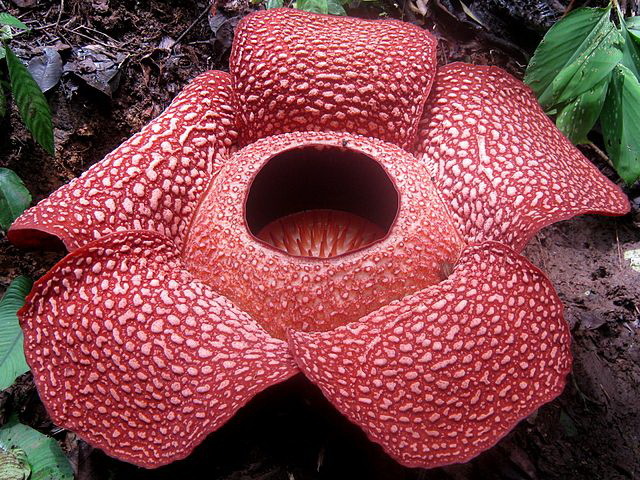 In spite of its scarcity and its scientific worth, very little has been done to conserve the remarkable Rafflesia. 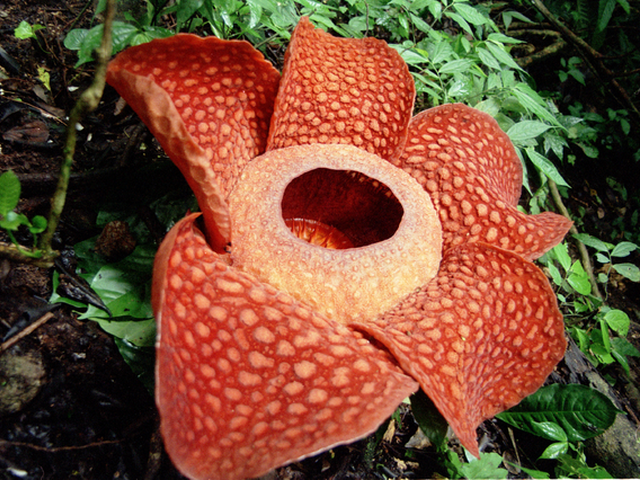 Apart from its rarity and threats why is the Rafflesia in need of urgent conservation measures? 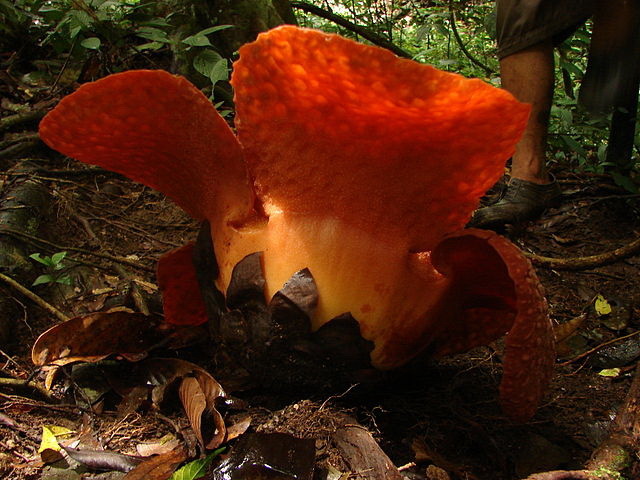 Part of the problem lies in the fact that up until today, no one has successfully managed to grow the rafflesia by artificial methods. This means that the only way to safeguard this exceptional and attractive flower is to preserve its habitat. For starters, the Rafflesia's delicate lifecycle is under siege by chainsaws, bulldozers and san-tai-wong (a powerful truck specially designed to haul logs from the forest interior) that are razing forest habitats. 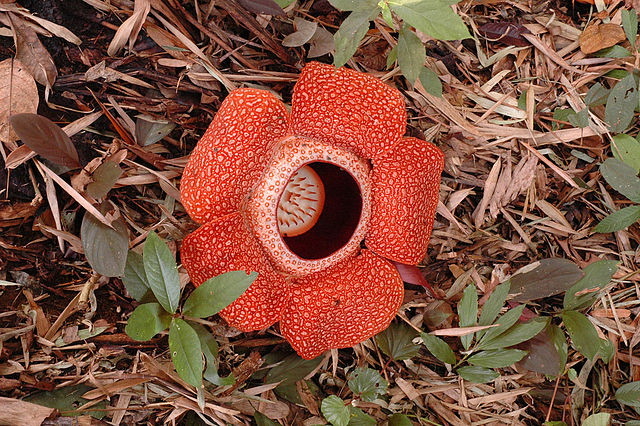 Logging activities and slash-and- burn agriculture are the main threats to the rafflesia's survival. Thousands of hectares of forest are felled and put to the torch to make way for plantation crops like oil palm, rubber and commercial forestry species. Commercial logging - both legal and illegal - destroys the lianas on which the parasitic rafflesias survive. The construction of large hydro-electric dams and highways cutting through forested areas also take a heavy toll on the plant. 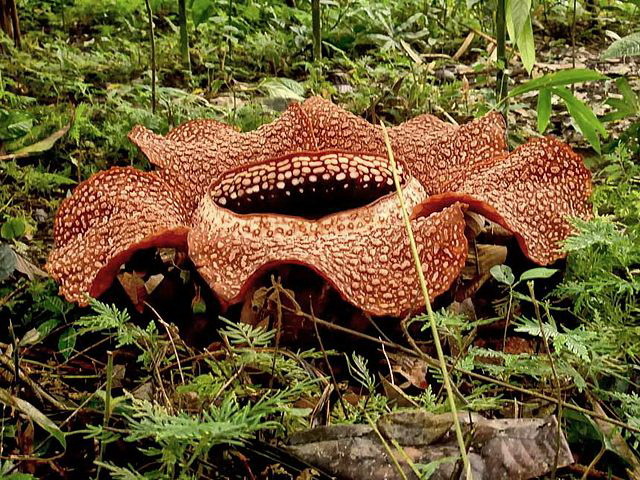 But the flower is also vulnerable to extinction because it is much sought after by bomoh and sinseh in some parts of the country for its supposedly medicinal properties. 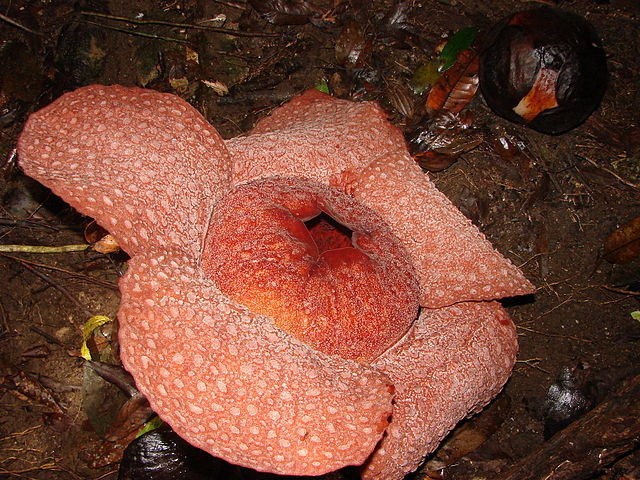 In the area, for instance, a decoction prepared by boiling rafflesia buds in water is sometimes taken by mothers recuperating after childbirth. The liquid is believed to help restore their health and strength. 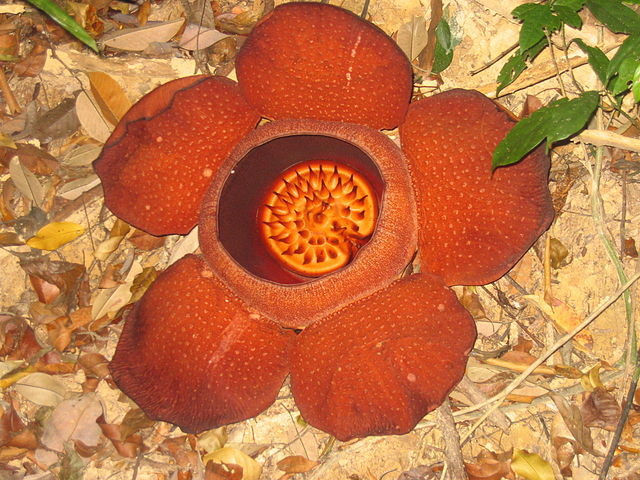 But the rafflesia has a high concentration of tannins and phenols which may be toxic when taken in excess. 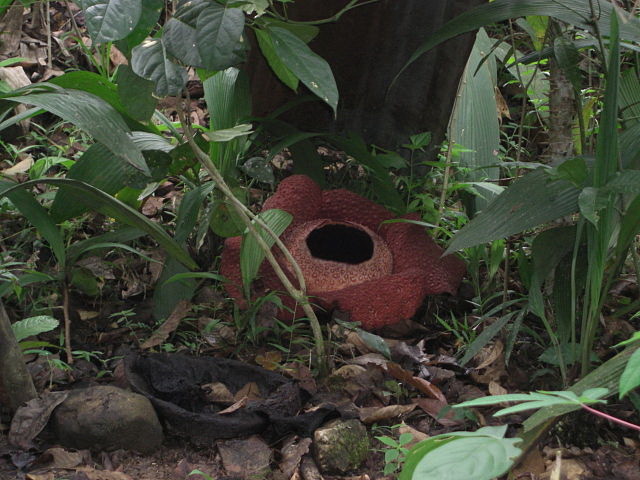 The growth in the artificial plants and flowers trade also poses a threat to the survival of rafflesias as the trunks of artificial trees are actually made of lianas cut from the forest. Rafflesias are also indiscriminately collected as souvenirs. And if all the man-made obstacles are not enough, nature could not have devised a more precarious existence for rafflesias - these botanical oddities attach themselves to only limited number of species of liana available. What's more, the flowers rarely depend on carrion flies, rodents, small mammals, ants or termites for pollination. To make matters worse, not all buds mature to full bloom. The high death rate is attributed among other reasons to trampling and changes in climate. 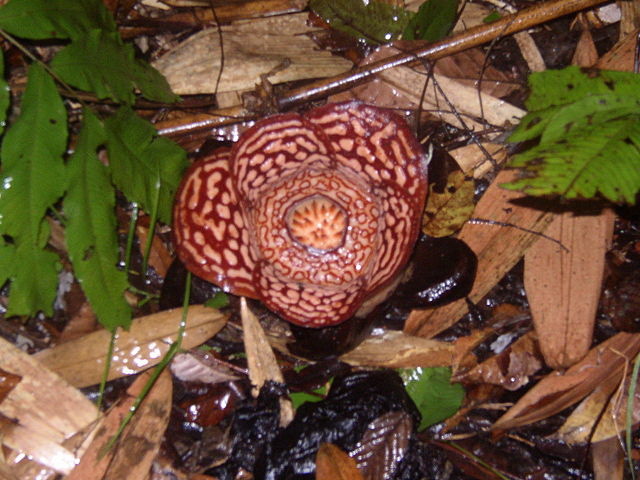 For threatened plant species like the rRfflesia, the only practical solution appears to be conservation of land where rafflesia colonies thrive. 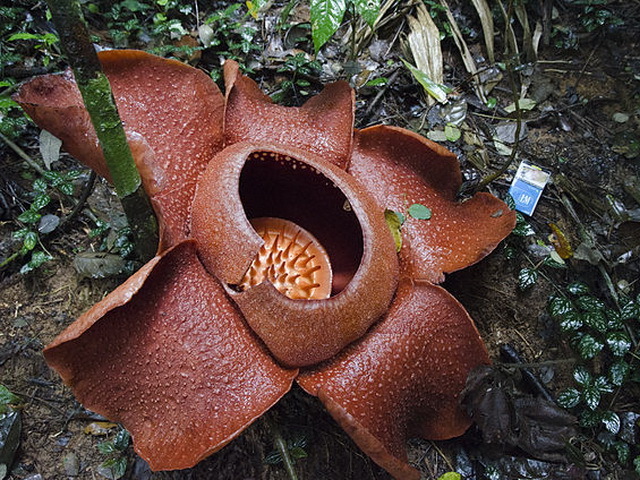 The story of the rafflesia in many ways illustrates the general status of plant biodiversity in the area - baseline information on biodiversity is woefully inadequate, other than, perhaps, that on the extent of forested areas, timber resources and fauna such as mammals and birds. More importantly, the present network of protected areas needs to be monitored to ensure that there is no encroachment, especially by illegal loggers, so that ecological services are maintained without interruption. 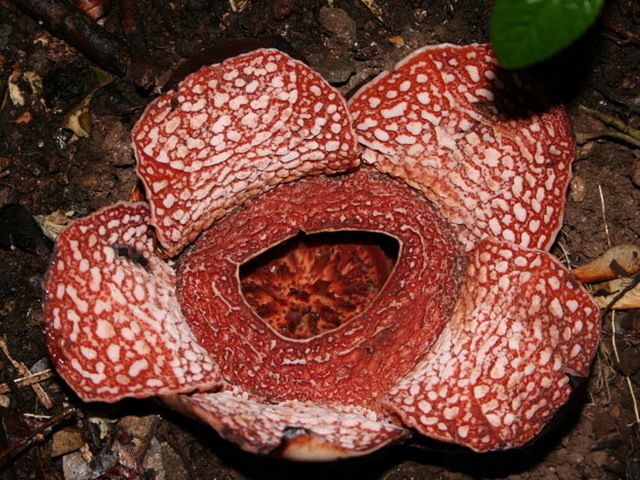 The promotion of Rafflesia as a tourist attraction would not only attract funds for conservation work but might also persuade villagers that the flowers are more valuable left to grow rather than cut for sale for a mere 50 ringgit.